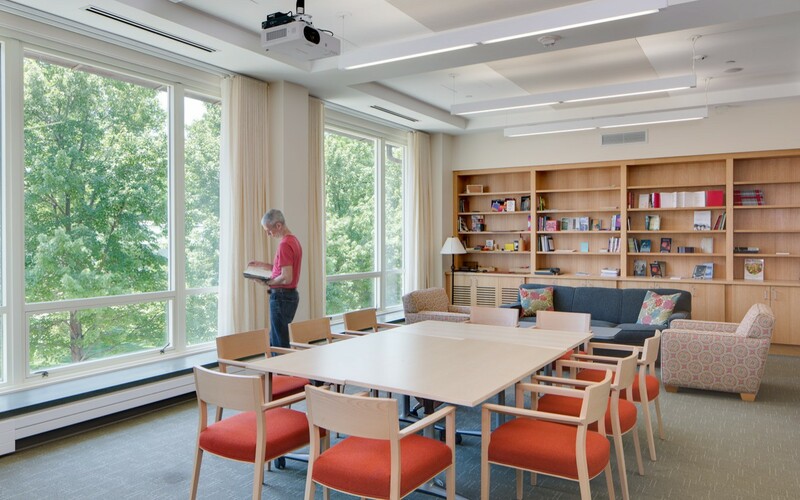 The project consists of substantial renovations to the existing Julia Rogers Library at Goucher College, a small liberal arts college just outside of Baltimore, Maryland. 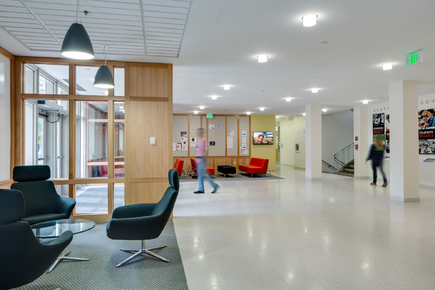 The original building was designed and constructed in two phases - the first phase was completed in 1952 and the addition, which connected the library to the Van Meter academic building, was completed in 1967. In 2009, the College constructed the Athenaeum and moved all of the library functions and personnel to this building, leaving the Julia Rogers building vacant. 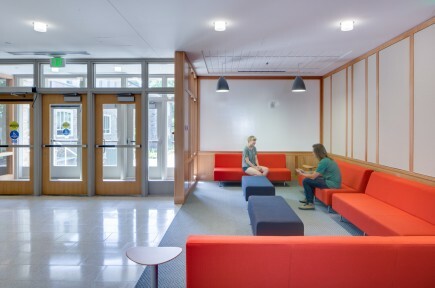 With increasing enrollment and a need for more 21st century learning environments, the College decided to renovate the building. 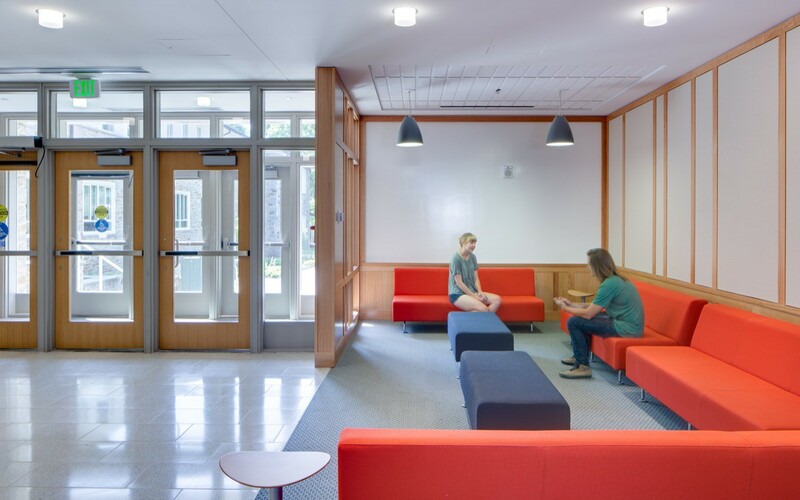 Employing the benefits of Building Information Modeling, an extensive programming effort was undertaken to determine the most effective use of the approximately 63,000 GSF of Julia Rogers to meet the many competing space needs on campus. 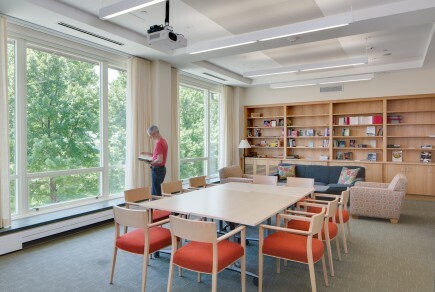 Because of the limited floor to floor heights of two of the three floors it was determined that any academic functions requiring large volume spaces were not a good fit. Likewise, academic functions requiring large mechanical loads and large ducts were not a good fit. The Julia Rogers building sits between the Van Meter building, where most of the humanities and social science offices and classrooms are located, and the Hoffberger building, where all of the sciences are housed. Because of security needs of a library, the only point of public access was at the center of the building. 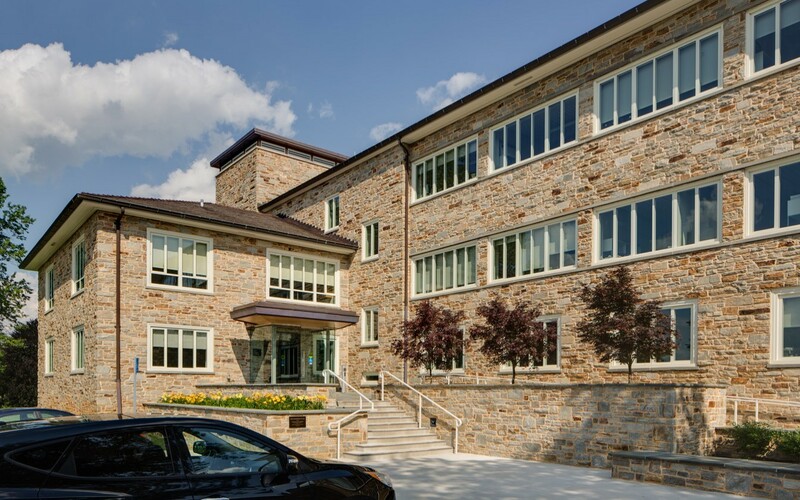 The renovation opens both ends of the building, connecting directly to Van Meter and creating close access to Hoffberger. The increased access provides a synergy on campus that will be a benefit to both students and faculty for years to come. 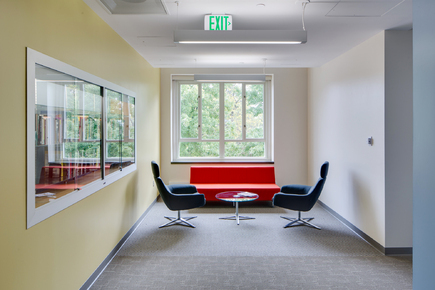 The renovated ground floor west wing houses the psychology department, which consists of many faculty offices, small ‘dry’ research spaces and miscellaneous classrooms and seminar rooms. 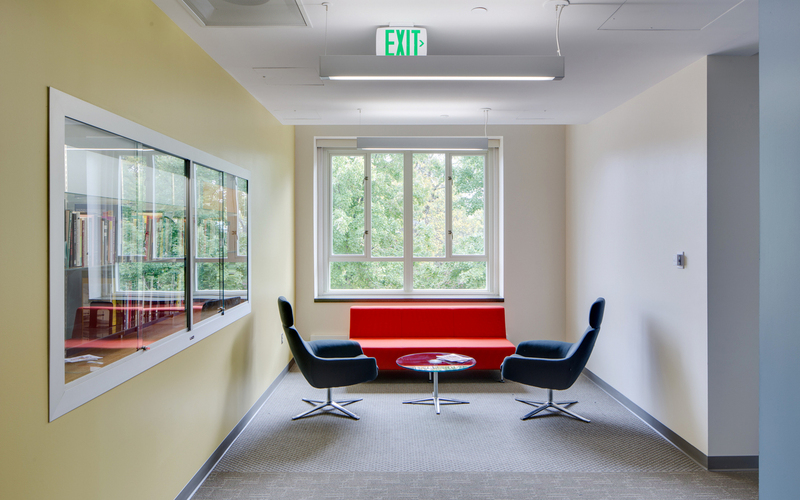 In the south wing, more faculty offices and classrooms were accommodated. The first floor was originally designed as the main occupied space of the library and has the highest floor to floor height. 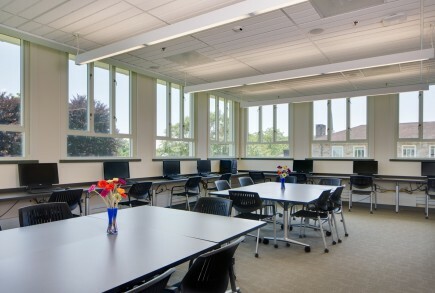 The upgraded floor accommodates larger volume spaces for the physics and math/computer science department’s requirements. The second floor has less ceiling height than the first but the conditioning air can be fed from the attic space lessening the need for ceiling height. 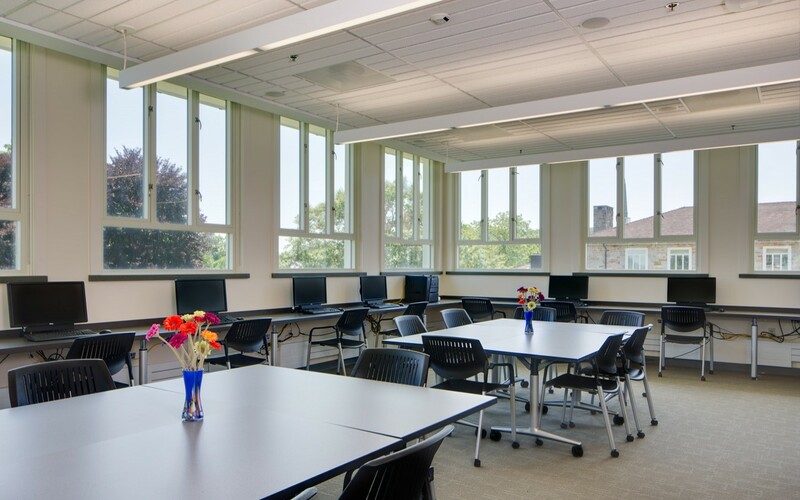 The Welch Center for graduate and continuing studies and the graduate department of education are accommodated in the west wing. 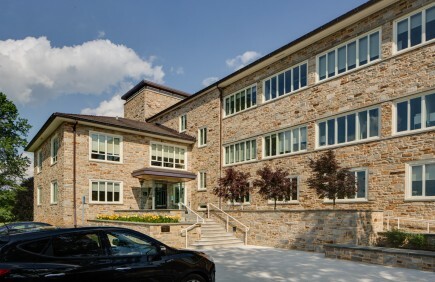 A new mechanical addition of approximately 3,000 SF, on the east wing provides the space to accommodate air handlers and pumps as well as space for the Academic Center for Excellence on the second floor level. 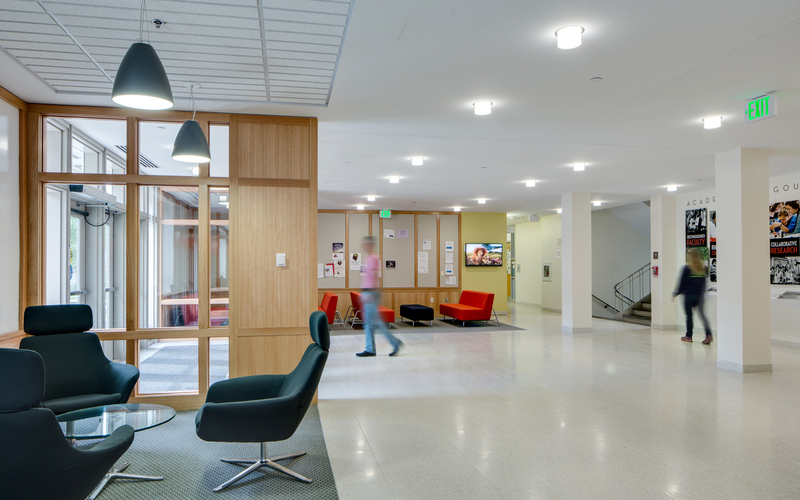 In the south wing, there are 22 faculty offices and administrative support space.